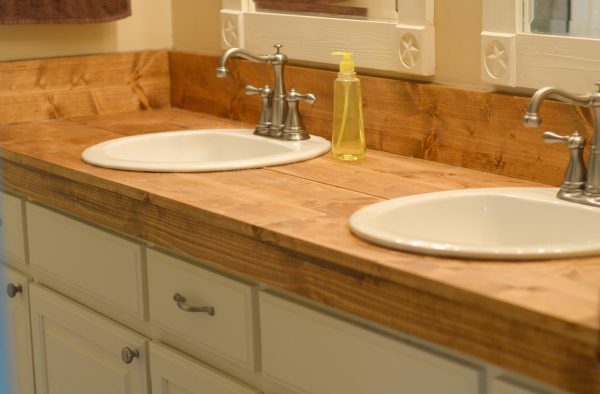 Are you looking to spruce up your bathroom? 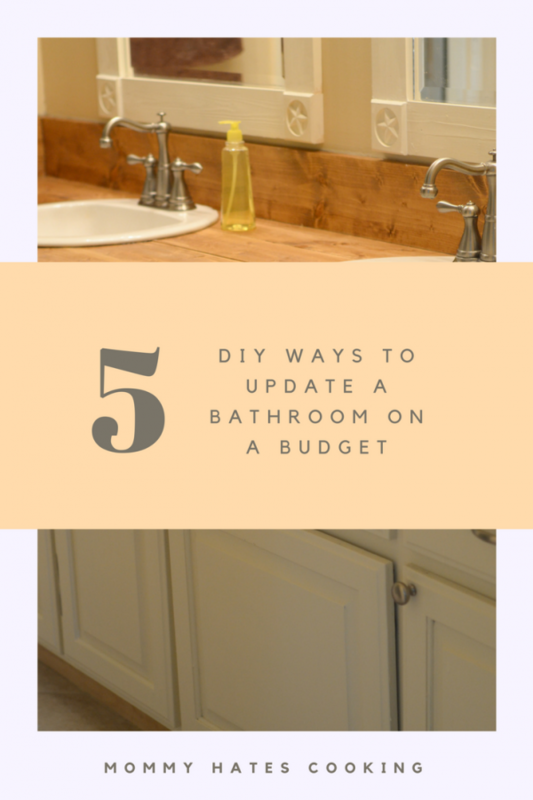 I’m sharing 5 Ways to Update a Bathroom on a Budget with Lowe’s. 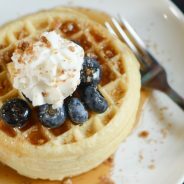 This post is sponsored and written on behalf of Lowe’s; however, all thoughts and opinions are my own. We moved into what we believe to be our forever home nearly 4 years ago now, and we are still doing lots of updates. We actually made a list recently of all the updates that we’ve done since we moved on and it was exhausting to look at. The main things though that we really wanted to update as soon as we moved in were the master bathroom and the pantry. When we were looking at the home, the pantry was non-existent, last summer we decided to knock out a shelving unit and replace it with a walk in pantry. Then, we saw the surprise…there was a full size pantry behind that built in! All it needed was a shelf and doors! It was almost like Christmas in our home that day. Once that was done, we had planned to move forward to the master bathroom, then our upstairs bathroom had some unexpected issues and we had to spend almost all that we had planned on the master bathroom for the upstairs bathroom. It would just figure that the bathroom that is hardly used is the one that the bulk of our budget would end up going, right? 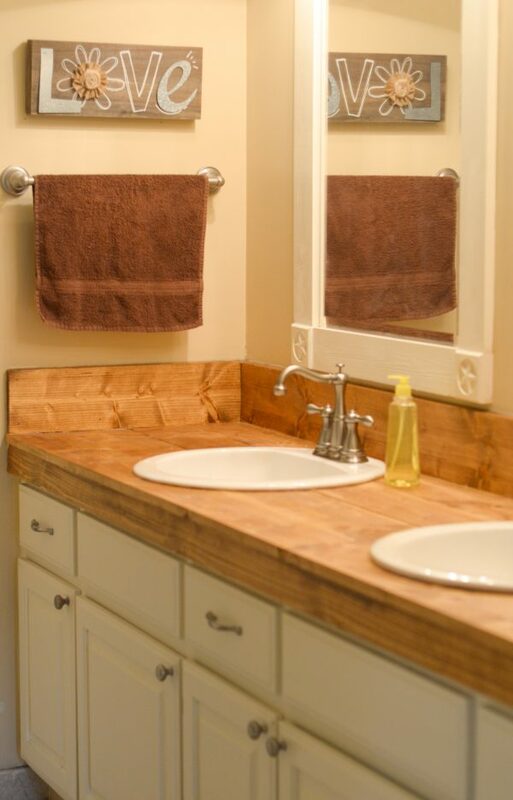 That meant we had to be creative with our master bathroom, which led us to these 5 DIY Ways to Update a Bathroom on a Budget. I really feel like I live half my life at Lowe’s, we are literally there multiple times a week. That’s not even a joke…we really are. My husband and I love to fix up and change things in our home, so we are almost always working on a project. Now, for the master bathroom, the layout is so wonky, but we had to figure out how to make the best of it. We actually met with a designer at Lowe’s; our local Lowe’s offers free design service for bathrooms and kitchens. She sketched out the most beautiful bathroom, but as soon as we had planned to move forward our upstairs bathroom ended up taking the budget, so we had to scale way back. That meant doing it mostly ourselves for the master bathroom and on a much smaller scale. 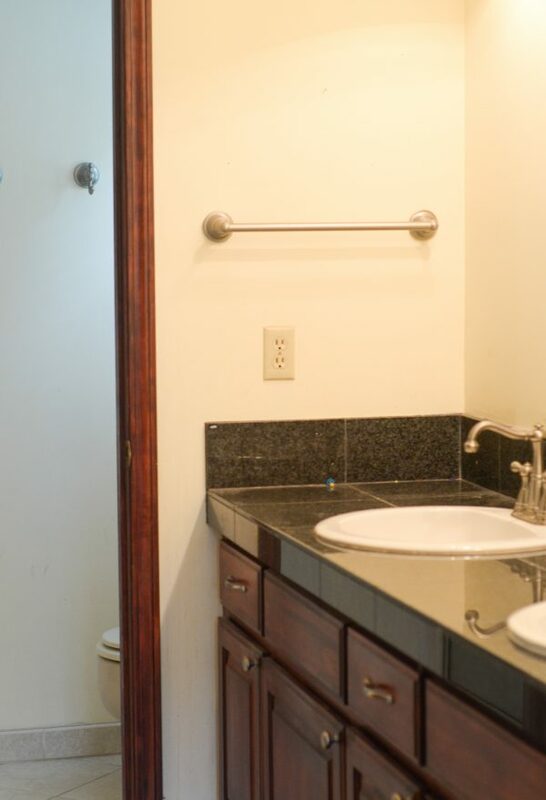 There are a few things immediately that I did not care for in our master bathroom outside of the layout, first the closet is right behind the master bathroom vanity and there is no door. I’m not entirely sure why there isn’t a door but I really hate seeing our unorganized closet on a daily basis. So, that was the first thing we needed to tackle. The next issue is the vanity; the dark wood was just not working with the scheme of our master bedroom. Lastly, those crazy black tiled counter tops. 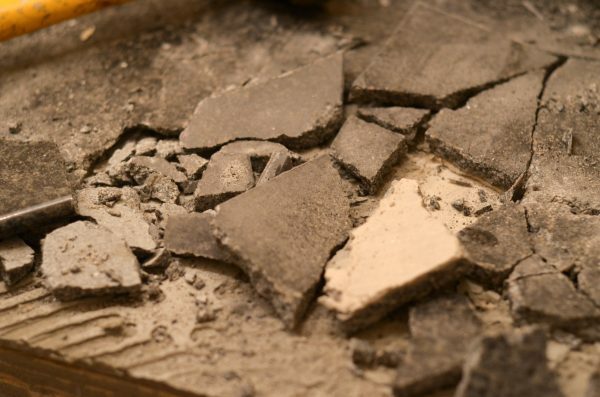 I loathed those counter tops. They were just so dark and so not me. I have a very country chic style and this was just not it! Now, we knew what our game plan was but on a budget we had to stay, so here are a few tips to help you update a bathroom on a budget. 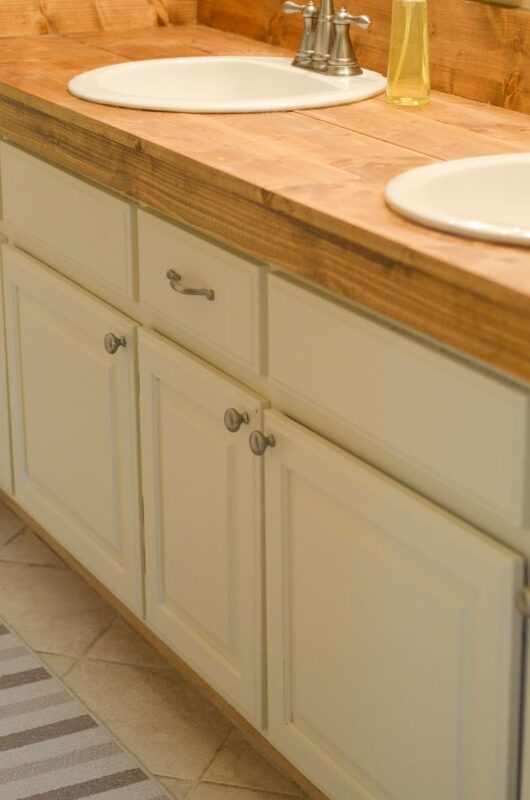 Get Creative with the Counter tops – We replaced the black tile counter top with a real wood counter top, this is super easy to do and just requires some stain and sealer to make sure it’s water protected. It turned out absolutely beautiful and was very inexpensive. 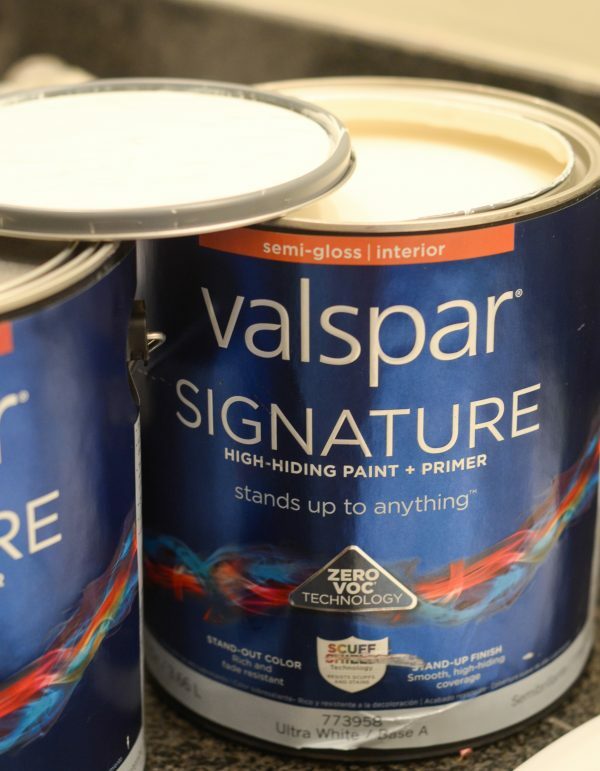 Paint, Paint, Paint – The easiest way to update any space is by adding some paint, a fresh coat of paint can go a long way, plus paint the trim as well to give it a whole new look. Rust-Oleum Cabinet Kit – My favorite kit to redo any cabinet is the Rust-Oleum Cabinet Kit. I have used this kit on all of our bathrooms and our entire kitchen; it can literally transfer your entire space. I used it for the bathroom cabinets in the Quilter’s White color choice. It includes all that you need and it’s available at Lowe’s. Add a Curtain – Now, for the closet dilemma, many homes are built this way, typically around the 70’s and 80’s where there is no door for the closet. We decided to use curtain panels and a rod inside the closet to add a divider between the space. I picked up the curtains at Lowe’s in a beautiful turquoise, which paired well with the cream and whites to give it a pop of color. Storage Systems – Now, a great way to update the bathroom is to add storage boxes or baskets to hold all of your bathroom products, we picked up some great baskets at Lowe’s to add to our bathroom to hold the insane supply of hair products that I seem to accumulate. 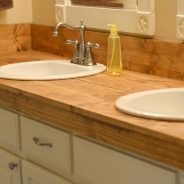 The combination of each of these things led to a gorgeous transformed bathroom and at a very low cost! We did put a lot of work into it, but the payoff was worth it. My husband and I can’t stop staring at it and it just flows so naturally now from our master bathroom color scheme. 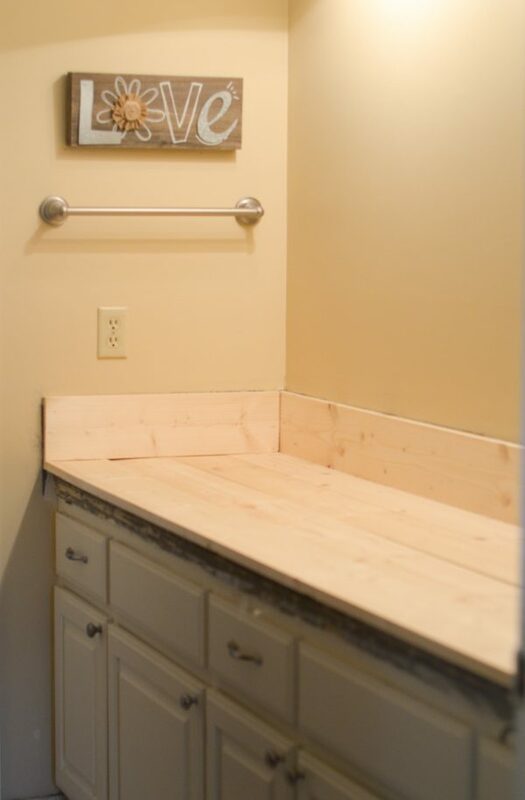 Now, I am very pleased with how we simply refreshed our space and am now on to our next project, our half bathroom. 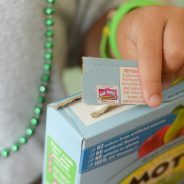 I’m using these tips to update that one as well! Are you inspired? It’s time to start working on your bathroom update.